Rebellion’s collection of M.A.C.H. 1 stories from 1977 is a close encounter with the earliest days of 2000AD in more ways than one. 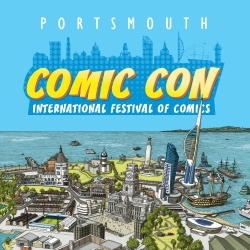 Co-creator Pat Mills has called the strip “the rock 2000AD was built on,” appearing as it did in nearly every prog of the comic’s first year while also enthusiastically embracing a pop-culture hit of the moment. The model here is TV’s The Six Million Dollar Man, when Mills has secret agent John Probe undergo a procedure that augments his strength, boosts his agility, and inserts a computer into his brain to offer advice and occasional chiding. In keeping with 2000AD’s agenda, the strip was violent enough to make the in-house censors nervous; and in keeping with the hectic nature of the comic’s production, the creative team never stabilised from one week to the next. The shifts in art style during these first 30-odd progs – roughly half of M.A.C.H. 1’s eventual duration – are hard to miss, although smoothed over by the pace of the stories which never dips below full pelt. Argentinian artist Enio draws the first appearance, with Ian Kennedy, John Cooper and Mike Dorey all involved before the first six weeks are up, a quick succession of British artists which ties M.A.C.H. 1 into the UK boys’ comics tradition that it drew upon – a tradition it then gleefully energised or sent up, depending on your view. A predominantly foreign artistic contingent settles in later, Jesus Redondo and Carlos Pino among them; fine draughtsman, but the sense of Britishness becomes fainter, if not downright wayward. The stories themselves just charge forwards regardless, character development coming a distant second to velocity as Mills, Steve MacManus, John Wagner and other writers pit Probe against kidnappers, warlords, Communists and revolutionaries. Action sequences bordering on the delirious include Probe skiing on an avalanche in order to thump a man with a grenade, brawling with a terrorist on top of a nuclear airship, and fighting a pair of Yetis with a taste for human flesh. The Six Million Dollar Man had reached its own Bigfoot phase by this point, but as the TV series became tamer, so M.A.C.H. 1 powered onwards with Mills’s vision of Probe as a blunt political tool taking shape. The final stories in this volume turn positively florid, with Probe piloting a Space Shuttle to avert World War 3 (“It is Death Hour on Death Day for the Planet Killers” captures the tone), before then running into actual aliens, busy levelling small town America with death rays of their own. By then the strip is really defined only by its own reckless momentum, but it’s also the momentum of early 2000AD and a calculated attempt to thoroughly goose a particular strand of British comics, something which M.A.C.H. 1 managed as well as anything else in Prog 1. Probe’s computer says that he can run at 120 MPH, and by the end his strip is motoring at about the same speed.